Some call it infobesity, others infoxication. 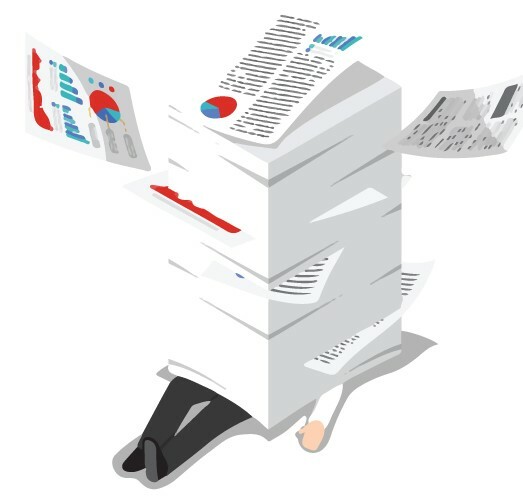 We’ve all experienced it; it’s the information overload that results from having powerful digital technology tools to extract massive amounts of data, but not always knowing how to use or interpret it. Customer Satisfaction surveying was an area our company experienced infobesity. The process itself was overly complicated, requiring the services of a third party to conduct the survey and we had to dust off our college statistical analysis course books to understand the results. Sure, it allowed us to collect a ton of data, but we didn’t always know what to do with it, let alone how to communicate the results in a meaningful way to our teams. So exhausting and costly, that we never stayed consistent. We dreaded customer surveys for all the wrong reasons. In 2003, Fred Reicheld brought relief to customer satisfaction survey information overload with the introduction of the Net Promoter Score, or NPS. The premise: a simple, one-question survey can gauge your customer’s loyalty. Thanks to the NPS, gone are the days of receiving long, drawn out customer satisfaction surveys that most gave up on half way through. The NPS shed light onto the effectiveness of a brief, one question survey that increases response rate and decreases the clutter of information overload. And today, more than two thirds of Fortune 1000 companies are using the metric 1. At Cherrylake, we have been using it since 2011. It has radically changed our outlook on customer surveying (we actually enjoy it now! ), and provided us a valuable metric that we can track consistently. 1 - You can’t manage what you can’t measure. The simplicity of the NPS gave us an opportunity to actually create an indicator we could commit to. Since 2011, we have been surveying our customers twice a year... consistently. The shear simplicity of being able to conduct and analyze the surveys in-house, and to have just one number or indicator to communicate to the team, is what makes it powerful. Today, we have an established history and baseline of NPS scores for our company. A simple line graph tells us if we have improved or not in our customer loyalty and satisfaction. The NPS is a relevant, understandable, easy to use tool. 2 - Define and target your tribe. Our objective as an organization is to create a tribe of loyal and value-aligned customers while meeting their needs and expectations. In defining this tribe of followers, we also define a tribe of non-followers. It’s the classic Walmart vs Target shoppers, or the Starbucks vs Dunkin fan club. One company or customer type is not ‘bad’ in itself; it’s just a question of aligning the value proposition of the company with the needs of the customer. The NPS classifies respondents in 3 groups: Promoters (scores 9-10), Passives (scores 7-8) and Detractors (scores 0-6). I like to think of the Promoters as being our tribe of followers and the Detractors as our ‘non-followers’. At Cherrylake, we believe doing business with someone is a choice. And if we choose to do business with someone, then we choose to provide them with a meaningful solution and positive experience. For this reason, our objective is to have zero Detractors. We believe detractors indicate one of two things: 1) We do not have an effective strategy for fulfilling our targeted customers needs, or 2) We are not effectively targeting our customers. And so, just like that, the simplicity of the NPS classification between Promoters and Detractors gives us invaluable feedback on the effectiveness of our strategic implementation. 3 - We promise we care. There really is no greater way of feeling valuable than being asked your opinion - and with no strings attached. Each of our NPS surveys are sent out anonymously, so participants are given peace of mind that they can be brutally honest. By just sending the NPS survey, we show customers we care about them and their opinion. We also show them our dedication to customer satisfaction and improvement. It gives them a channel to communicate with us as we give them the option of leaving comments after the one question. We often see customers directing comments to the entire team, but also to individuals -- such as our President, a Sales Rep or production staff. They can reach anybody without having their email or cell number. It is a ritual that has become an important part of our communication with existing customers and our team looks forward to hearing from the customers via the NPS survey. 4 - Happy Employees make for Happy Customers. It’s been quite rewarding to see the Employee NPS and Customer NPS align throughout the years -- ebbing and flowing together. 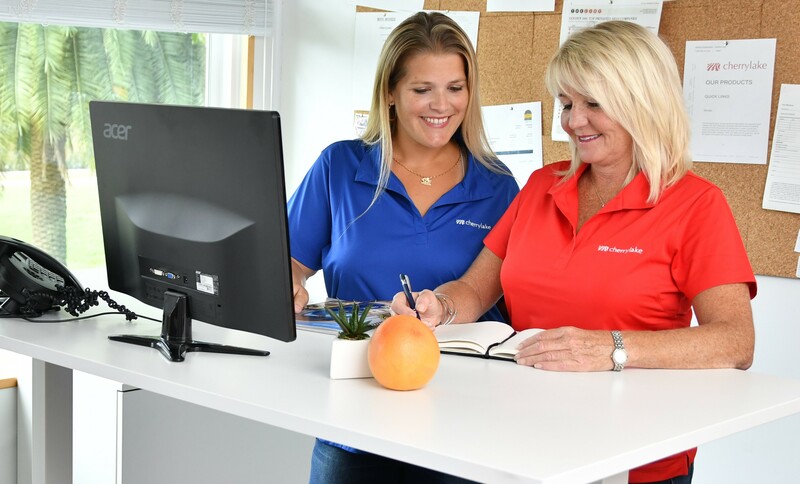 This has allowed us to be even more confident when investing in our employee morale and wellness programs… knowing that resources we put towards employee well-being help us achieve our customer satisfaction goals. Now that’s a win-win. 5 - The Gift of the Goose. Trust me, we receive some tough love and criticism at times through our NPS survey results. Sometimes, individual employees are called out by name as contributing to a negative experience. Yet, we share the results of our NPS with all departments and teams, and our team believes it is a true gift. Each NPS score is a testament to our larger purpose of building a community that goes beyond our company. It demonstrates how much impact each team member has, and shows us if our actions are providing the intended results. It feeds our growth mindset to show us where we can improve. And when we receive praise and encouragement through the words of our customers, it is truly the Gift of the Goose. It cheers us on as we fly in formation towards our bigger purpose of providing meaningful experiences to our customers and community. So at the end of the day, what has been most important about our NPS survey isn’t the score itself. Rather, it is the simple ability to create a tribe that communicates, grows together and appreciates the efforts each one makes towards their common purpose. 1Jennifer Kaplan. "The Inventor of Customer Satisfaction Surveys Is Sick of Them, Too". Bloomberg.com. Retrieved 2016-06-05.